This is the 3rd and final part of Gabe and Tony’s Coffee Roaster fact finding trip. This week they’re leaving Delano in Wollongong and, after some hairy moments in the car, arriving in Canberra and Brisbane to see roasters, Ona Coffee and Coffee Roasters Australia. The next morning, we were off to Canberra!! I took the wheel for this leg of the journey. It was about a 3 hour drive to Canberra from Wollongong. The drive was pretty spectacular. We live a glorious country I tell you. Such beautiful scenery! 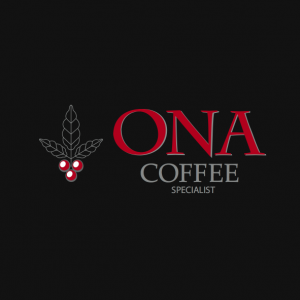 We visited a couple of coffee roasteries in Canberra and the one that stood out heaps was Ona Coffee. The people that work at Ona were good friends of mine and we have competed against each other in National Barista Competitions. So it was good to meet up with them, and see what advice they had. They have three roasters in their roastery, pretty Diedrichs and Probats. 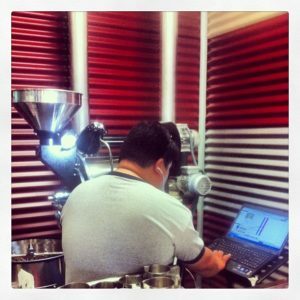 Which Head Roaster, Sam Corra uses to turn green beans into beautiful roasted coffee. They also have started a green bean business which is doing pretty well. Tony obviously heard about this and saw another chance to expand. I think that pretty soon we’ll be milking cows and growing his own sugar! Here he is, with his pride and joy. We have no idea what he is doing. 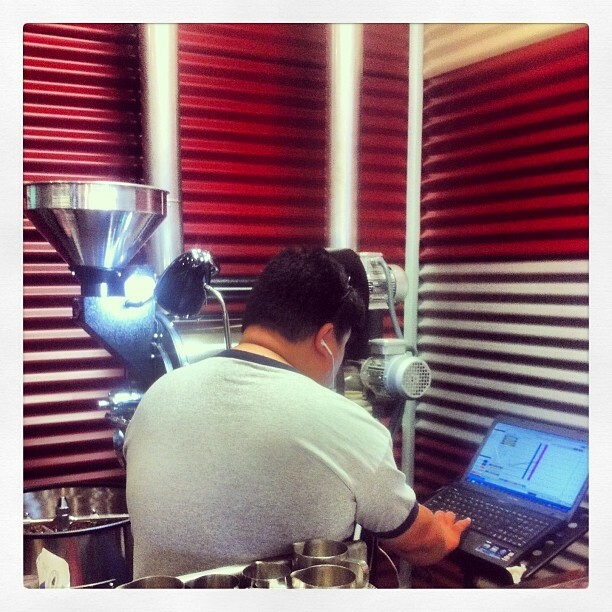 Listening to the heartbeat of the Coffee Roaster? taking us through a whole roast process from beginning to end. He then took us to one of his customers in Brisbane who had a 15kg and 30kg Has Garanti. It was good to see the Has Garantis in action on a proper roasting day and we were quite impressed with what it could do! 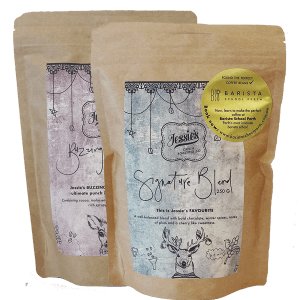 For the price point, it does an amazing job of producing well roasted beans. If you know what you’re doing that is! We ended off the trip with a visit to one of Tony’s mates. Steve lived in the Sunshine Coast with his lovely family and we were to put up the night at their lovely residence. It was a beautiful property which had little jetty over a river at the back end of the property. It was good to just chill out sitting on the jetty with a cold one soaking in the idyllic location and just having a breather after the crazy week that has just passed! Steve and his family put on a lovely dinner for us and we had a great time chatting, laughing and just having a huge ball of a time. Early next morning, we said our goodbyes to Steve and drove out to Brisbane Airport to catch the plane back to Perth. Tired, excited and with a lot to think and talk about, we were finally home. So there we have it, Gabe and Tony, four states in six days. It was a whirlwind trip. They learnt a lot from the many different people they met along the way. But what roaster did they decide on? Well if you look in the back, behind the counter you will see a 5 kilo Has Garanti Roaster. Apparently it’s the best value, bang for your buck roaster, able to churn out great beans consistently.